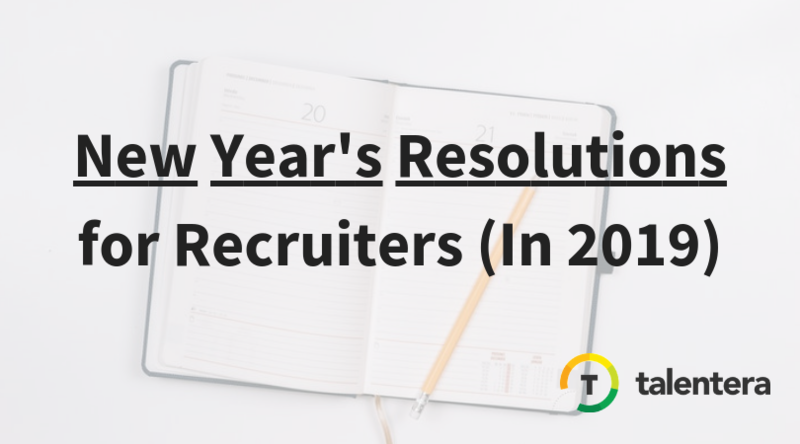 Time’s flying, and with 2019 well onto its way of picking up pace full speed ahead- we figured let’s pause and reflect on some new year’s resolutions for recruiters that may be the need of the hour. With the search for brilliant talent gaining its usual momentum in January, what are some things that you’d like to change in your recruitment game plan? While you ponder over your strengths and weaknesses to fine-tune or give up, here’s our list of 5 resolutions that we resolve to put into implementation to make this year more results-driven than the last. Consistent improvement in the hiring process is important across all businesses and industries; time is money, and money is time after all. To really turbocharge hiring, it’s time to stop making excuses for bottlenecks and truly nip them in the bud for good. Regardless of the reporting and analytics tools that you decide to use (hiring performance cannot be streamlined based on guesswork), there’s always a few pesky recurring problem areas that can drastically improve talent acquisition standards if overcome. Reassess your hiring processes- are there too many stages in your recruitment funnel resulting in loss of talent? Is your communication with prospects not engaging enough to attract and retain attention? Maybe you need to increase your recruitment division’s headcount to bring some relief to an overworked team? Zooming in to each aspect of the bigger picture will help identify which changes can speed up search for the right talent without any roadblocks coming in way of your targets. If you still have doubts, how about applying for a vacancy at your company and seeing how smooth is your journey as a candidate- the kind of obstacles you will potentially uncover are bound to be eye-opening. Job seekers put in a lot of effort into applying for jobs, and deserve to have their hard work acknowledged. Too often recruiters are so busy with their workload that they overlook the need to communicate with prospects; despite the best intentions the result is an employer brand that depicts laziness and careless behavior. In this digital age, an unappealing employer brand is one of the worst ways to damage your chances of building a workforce of masterminds. One poor review online is all it takes for a hugely detrimental impact on the quality of job seekers you may see landing in your inbox. 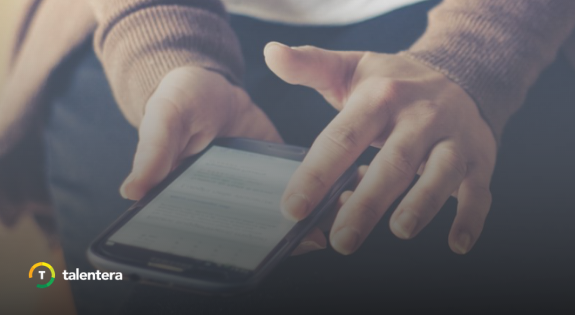 If you think responsiveness is too big of time-intensive commitment that could compromise productivity, an ATS such as Talentera takes over your communications so that automatic emails are triggered every step of the hiring funnel. 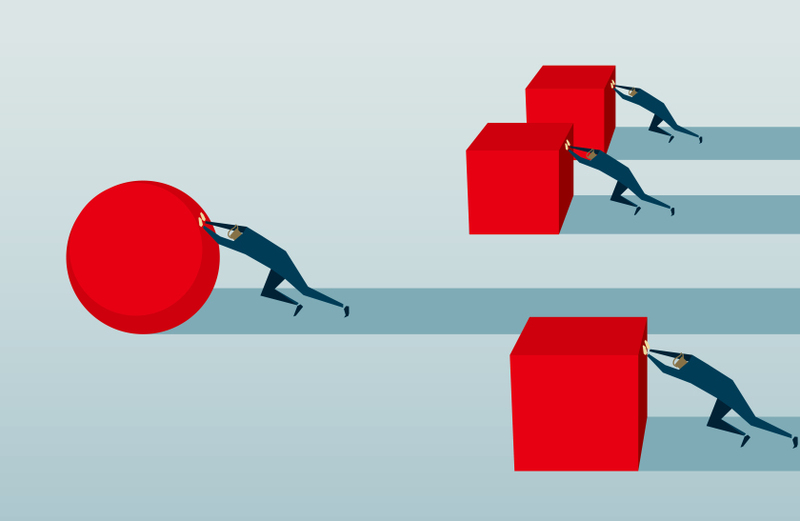 Finding experienced talent to eliminate existing skill gaps is a need that most businesses face sooner than later, but sometimes it’s easy to overlook the opportunity of nurturing talent in-house. Instead of looking for junior level support staff, 2019 can be a great year to invest in an internship program and have upcoming superstars be mentored by your department leaders. This approach can really pay off for growing businesses that can currently forecast a significant need for not just any talent, but talent that genuinely understands their vision and mission. Really want to kick things up a notch ? Employing proper onboarding platforms like Afterhire ensures that your new joined hit the ground running by streamlining many aspects of high impact recruitment including understanding of the culture, performance standards and the organization’s core values. Bonus tip: Existing talent can also be strategically up-skilled by introducing learning management systems (for example: udemy) that speed up learning and development, meanwhile allowing you track progress to ensure compliance. Scouting fresh energy as a recruiter sometimes needs unconventional approaches. 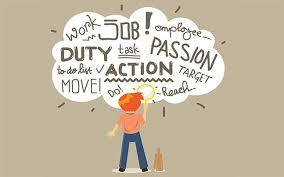 Even as an HR professional, there’s a need to think from the perspective of a marketer. You want to have your vacancy work as a magnet to pull talent towards itself; the job seeker should not be able to resist the charm of an alluring job description and its eye-catching marketing. This year, think of your prospects as your customers; how can you revamp your recruitment to use it as your biggest and boldest branding tool? From using branding careers websites, social media platforms to promote your outstanding work culture, or even making use of a virtual career fair with fantastic webinars to highlight your vacancies- there’s a lot of ways to make your employer brand stand out from the *yawn* boring crowd. 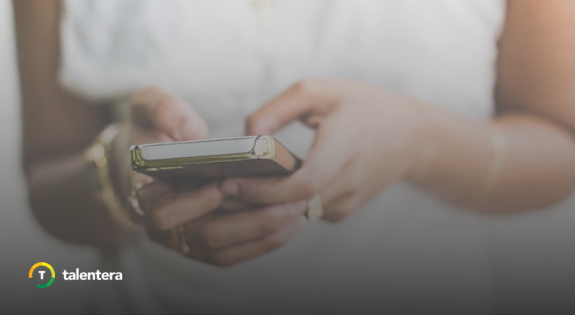 Bonus tip: Texting and using chat in virtual recruitment fairs is picking up as a trend; conversational recruiting is one of the hottest strategies to attract, screen and engage candidates in real-time via one-on-one messaging. It definitely beats the 20% open rate of recruitment emails that you may have been using in attempts to connect with your favorite prospects. A strong work ethic is always commendable- but don’t forget to take care of yourself while you’re slaying your goals. Recruitment can be an uphill battle, especially when the position requires niche skill sets and a lot of research for you to connect with the right prospects. 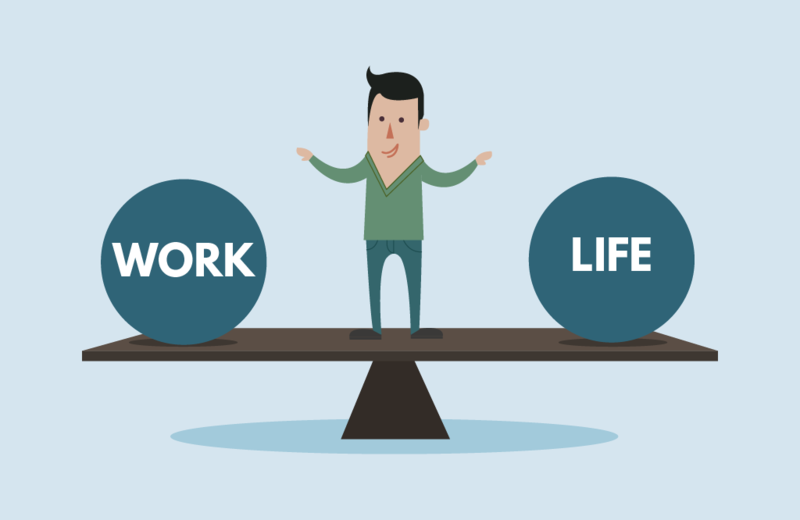 Despite the stressful timelines, remember to keep your chin up and prioritize a healthy work-life balance. Hiring exceptional talent is a marathon, not a sprint– don’t burn yourself out, and instead focus on keeping an upbeat attitude about every hiring challenge. Patience and perseverance are your greatest allies- trust them to never let you down regardless of how overwhelming your targets may seem. Time is the best teacher; with 365 days of valuable lessons that 2018 left us with, it would be unfair to not look back and convert them to resolutions. 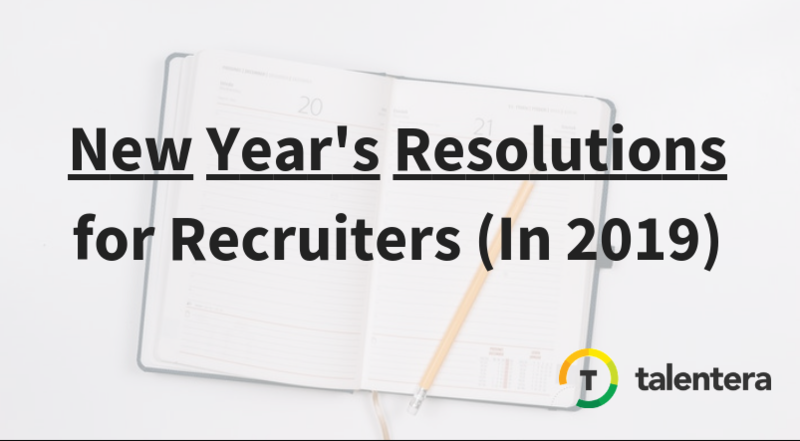 If you have recruitment resolutions of your own in place, do share! Till then, we’re going to get to work to get faster, more communicative, a little creative and of course- mindful about our health to truly perform our best. Happy new year!